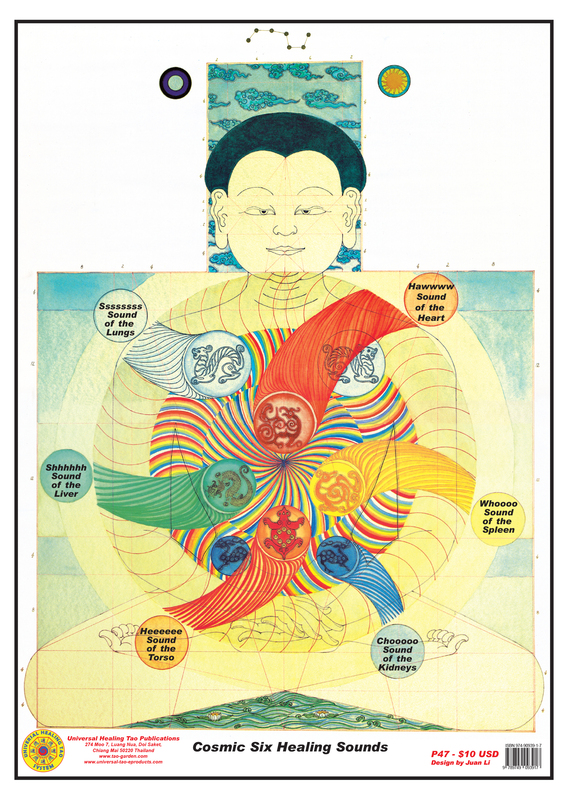 This poster illustrates the Male Body Cosmic Healing Sounds with the Virtue Energies of the Five Vital Organs, beautifully illustrated by Universal Healing Tao Senior Instructor Juan Li's original meditative art drawings. The second step in your Inner Alchemy practice is to cool the energy down which is the last formula you do in your daily practice because when you work with internal energy you create heat. The Universal Healing Tao practice is a safe, practical way to work with your internal energy. Once you learn these first two formulas you can safely add the next two hundred and forty plus formulas of the Universal Healing Tao System. You start with the Inner Smile and end your daily practice with the Six Healing Sounds. They are also great at bedtime.